Having too much inventory is pretty high up on the list of no-nos for retailers. In addition to taking up precious backroom or shelf space, surplus stock ties up capital and can keep you from re-investing in your business or buying things you actually need. That’s why regularly paying attention to your sales and inventory data is so important. You need to keep an eye on how products are moving so you can make the right purchasing and marketing decisions. At the same time, staying on top of inventory counts enables you to get a handle on the merchandise you have so you can prevent having too much stock in your store. 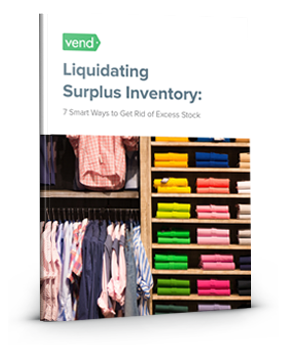 Subscribe to our newsletter and get the PDF version of this post to learn how you can liquidate your excess inventory. When an item isn’t selling, the problem may not necessarily be the product itself. In some cases, the issue may lie in how you’re marketing or positioning the merchandise. Try to refresh your marketing and merchandising efforts when it comes to your slow-moving stock. One thing you can try is to reposition them in your store. Put them in a different area in the shop or switch up their shelf arrangements. Retail management consultant Judy Crockett says that this could be an excellent way to freshen up your merchandise. Also remember that sometimes, it’s not just the merchandise that needs some spiffing up. In certain cases, you may also need to refresh the attitude of your staff. “It may not be that the product is a poor seller; it could be your staff does not like the product, so they do not sell it. Keep an eye out for this behavior,” adds Judy. When this happens, talk to your associates, re-train them, or find better ways to boost morale and motivate them. 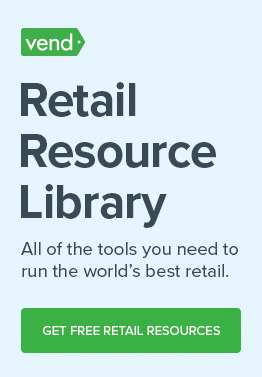 Bonus resource: Need additional tips and examples on how to refresh, remerchandise, and remarket? We’ve got you covered with this instructional video. If remarketing or remerchandising doesn’t work, consider lowering prices for of excess stock. Kat Rosati, Brand Manager at Apparel Booster, advises retailers to discount prices at certain increments. “Start off with something small, say 30% and then continue to discount,” she says. You can also kick this tactic into high gear by creating a sale event. 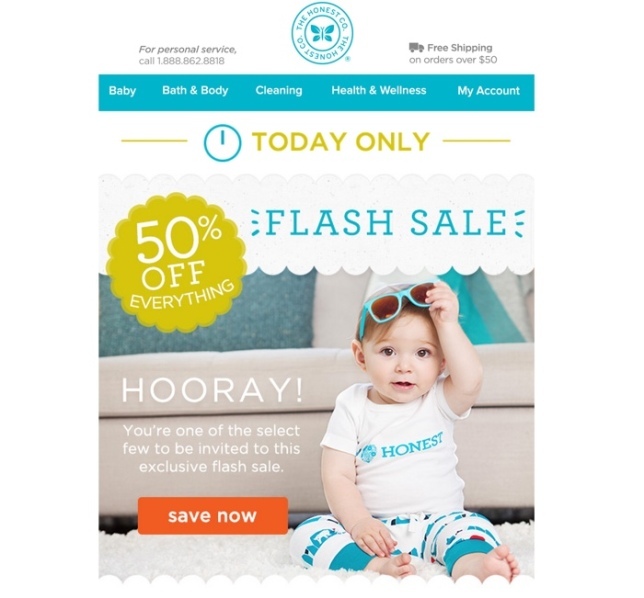 Why not run a flash sale to instill a sense of urgency in your customers? Or, if you have a ton of merchandise that you need to get rid of, consider running a store-wide event and aim to draw crowds to your store. Plus, “if done right, you are gaining new customers to help regular sales into the future,” she adds. Vanessa at Flourish Boutique echoes this and says that holding flash sales and events has helped them liquidate inventory while growing their customer base at the same time. “Twice a year we have a big Overstock Sale where we encourage a door buster mentality and discount things as deeply as we can to free up our capital for new items,” she shares. Be sure to time and implement your sale events wisely. Doing them too often can result in the events losing their allure and can train customers to hold off on buying from you until you discount your items. Additionally, make it a point to collect new customer information. Add them to your loyalty program or email list so you can reach out and alert them when you have new (and more profitable) items in your store. Finally, remember that while discounting merchandise is a proven way to attract customers, it may not always be the right strategy for you. If you’re a retailer catering to high-end markets or if you’re trying to preserve a certain image, you may want to think twice before running a huge sale, and instead implement a different stock liquidation strategy (see below). Bundling is another standard technique for merchants. It’s the second most popular pricing method for retailers across all sectors (next to discounting), according to a recent study by Software Advice, a research firm for web POS systems. According to their survey, 90% of respondents said they implement it in their businesses. If it makes sense for your store, consider grouping certain products together and selling them for a slightly lower price than if bought separately. This will allow you to move merchandise without having to take such a big hit on your profits. “Bundling related products with your excess inventory for an irresistible offer is a win-win situation for your business – your average order value increases, and you get to clear out excess inventory,” says Ashley Orndorff, director of marketing at ParadoxLabs. Bundle multiple units of the same item – This tactic works best if you’re trying to move small to medium-sized items. Group several units of the same product and sell them as a package. For example, if you’re looking to move merchandise that comes in multiple colors, bundle them together and see if they sell faster. 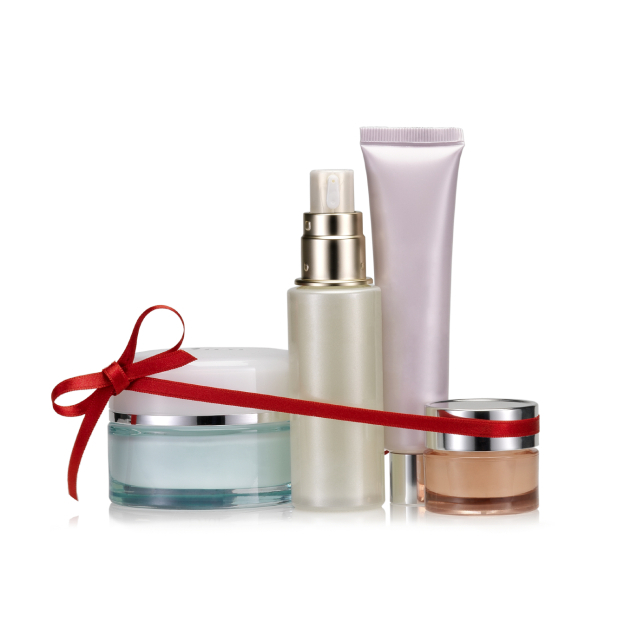 Bundle complementary products – Does the surplus stock complement any other items in your store? You can add value to both products (and potentially sell them more quickly) by bundling them together. Bundle your slow-moving merchandise with faster-moving ones – If an item isn’t moving as quickly as you hope, see if you can pair it with a product that has a faster sell-through rate. That’s what T-We Tea, a San Francisco-based retailer that sells house-made teas and accessories, did with its products. They noticed that their low-margin items (such as tea accessories) were moving faster than their high-margin ones (house-made teas) so they opted to group them together at a slightly lower price. As a result, they were able to move products faster while maximizing profits at the same time. This tactic works best for low-cost items. If a product is tough to sell, use it as a giveaway or incentive instead. You can, for example, offer it as a “bribe” to get people to either sign up for your mailing list or to increase their basket value (i.e. “Spend $75 or more and get a free bag”). This is one of the tactics that Flourish Boutique implements in their stores if they find that a particular item is a “dud,” but doesn’t have such a high cost. “We’ll use it as a freebie or giveaway in event swag bags, in trade for people signing up for our email list or text service list, etc.” In doing so, Vanessa says that they’re essentially deploying the cost of the product as a marketing expense. If you have a great relationship with them, you should definitely explore this option. Just look at what OFY, a luxury men’s boutique in Miami, is doing. According to Ofir Farahan, owner of OFY, when certain styles aren’t selling, they work with their vendors and swap the merchandise. You can try to sell the items on sites such as eBay, Amazon, or Etsy. This route will require a bit of time, though, since you’ll have to create product pages and photograph each item (if you haven’t already done so), but these sites could be great avenues to help you move surplus stock. Do note that each marketplace has its own rules and fees, so take note of the fine print before signing up. If you need more information, check out our post on how to sell on Amazon, eBay, and Etsy here. Alternatively, you can go the liquidation company route and just sell your surplus inventory to organizations that specialize in taking stock out of merchants’ hands. Do note that these companies may cherry-pick items and will buy merchandise at much lower price points, so you likely won’t see any profits with this method. But you’ll at least be able to free up space and capital for your business. One other option is to donate your surplus inventory to charity–and get some tax deductions out of them. Research how these deductions work in your state or country, then start giving what you can. The IRS Code says that regular C corporations may deduct the cost of the inventory donated, plus half the difference between cost and fair market value. Deductions may be up to twice-cost. If you’re an S corporation, partnership, LLC or sole proprietorship, you qualify for a straight cost deduction. It’s not just about taxes, though. Amy Kilvington, a Marketing Executive at Interior Goods Direct, says that donating your merchandise can also have a PR benefit. Once you’ve applied the tips above, take steps to prevent surplus stock in the first place. Check out our Inventory Management Guide to learn more about maintaining inventory accuracy and making sure you always have the right amount of merchandise at the right time. Ensure that you’re ordering the right products by keeping your customers’ needs in mind. Talk to them and observe their behavior so you can gain insights into what items will sell. A good rule to follow is to order lower quantities for non-basic styles. That’s what OFY does to minimize overstocks. “Merchants should also look to utilize direct ship options (from supplier to consumer direct), to avoid holding inventory all together,” says Matthew Davidson, Managing Partner at financial and operational consulting firm Conway MacKenzie. One company that’s found success with this strategy is Wayfair, an online furniture store. Wayfair works with more than 7,000 third-party vendors that can ship products directly to consumers. This allows the company to showcase and sell millions of products on their website without physically stocking the merchandise. We hope this post helped you see that you don’t have to sweat the surplus stock. When handled properly, excess inventory can actually open up sales, customer engagement, and tax opportunities for your business. 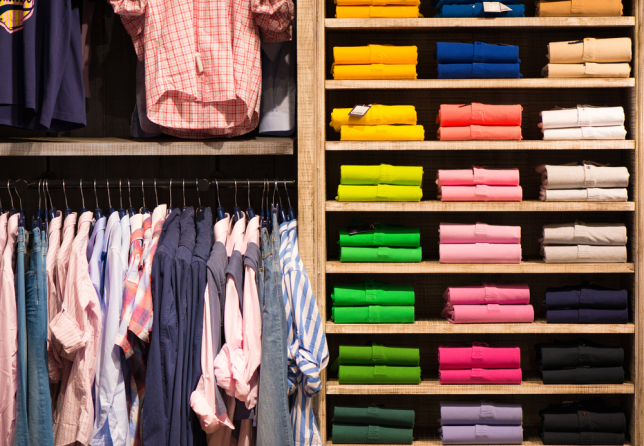 Can you think of other ways retailers can get rid of surplus inventory? Let us know in the comments. Seriously helpful and actionable tips. Thanks, Stacy! Hope these action steps work well for you. You can also sell your excess inventory on BoxFox. BoxFox is a B2B marketplace for small retailers to appraise and sell their excess inventory to authorized resellers. To control surplus inventory, it is necessary to monitor their dynamics. Our inventory management solution http://abmcloud.com/en/abm-soft/abm-inventory/ ABM Inventory provides a complete overview of the surplus, stock shortage, TOP movers Non-movers, assortment management, product auto-order. Does the software identify slow or non-moving stock lines? It sure does. 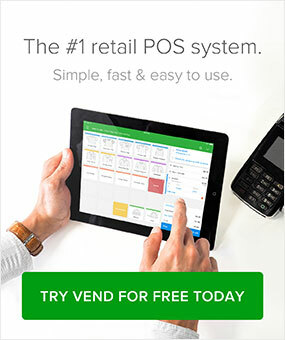 You can generate inventory and product performance reports in Vend to identify slow or non-moving stock. These reports also shed light on measures such as average items sold per month, first and last sale dates, transaction counts, returns, discounts etc. Hi Jane, Happy New Year! You sure can change the original dollar value in a CSV spreadsheet. Here’s our step-by-step guide on editing products using CSVs: http://ow.ly/WCsab. Hope this helps! Best, Ashley. Corporate trade is also a great solution for companies who have advertising budgets. For future articles, happy to share my perspective on how some brands are using corporate trade to recover inventory write-downs while giving their media budget a boost. Cheers! https://uploads.disquscdn.com/images/1e841925b5a075c3494606f3177060653d6dfcc515ed1ec5729702a4e48c813d.jpg Hi Kimberly, I have written a book on the subject of the Poshmark platform. I want to add a free ebook with it for readers who are already on successful on Poshmark and looking for the next step to boost spare time resale from hobby to career and inventory from closet to warehouse or even a brick and mortar shop. I would love to talk with you on the potential to tap into corporate trade. I don’t know much about it but I think it would be a good subtopic in my section “Brand marketing through influencers, and brand ambassadors; How to build hype and boost sales without going broke.” It’s still in the conceptual stage so I can make edits and amendments easily at this point. You can Gmail me @ HillaryMarek it’s also my username on instagram, FB, LinkedIn, etc. If that’s more convenient for you. P.S. You can view my previous best selling books on goodreads.com under author Hillary Marek if you want to check out my credentials to verify that I am on the level. Very helpful & best small business advice to get rid of excess stock. You can also setup a clearance sale. This could be the best opportunity to flush out any stock that hasn’t sold in the past 3-6 months. Retail management consultant Judy Crockett says that this could be an excellent way to freshen up your merchandise. Does anyone have any experience with the Estate company ebth.com? 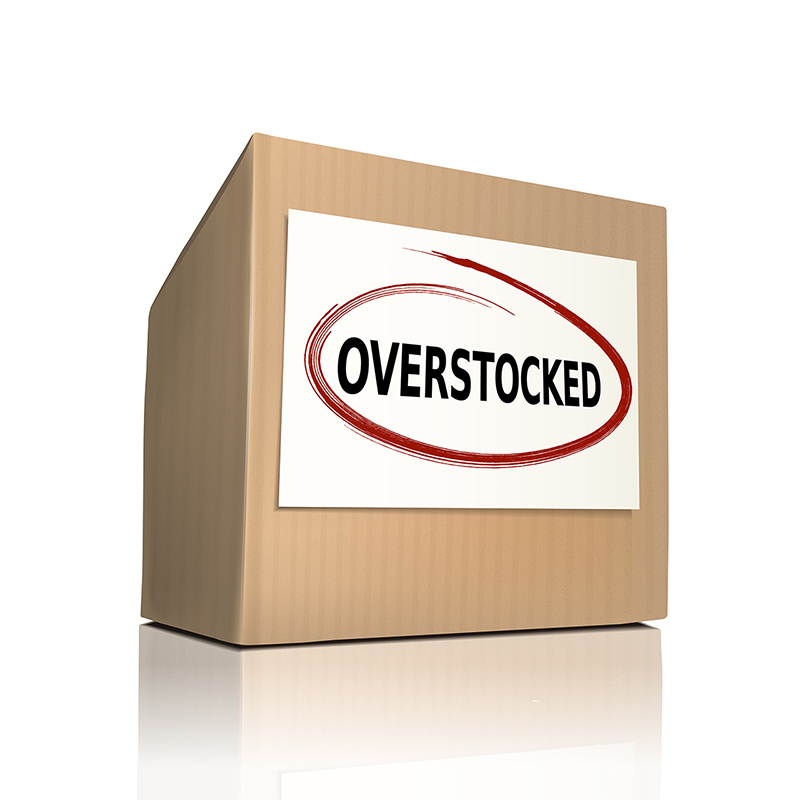 I had talked to a csr a few weeks ago about liquidating my overstock through them. Whist the sales pitch sounded right up my alley, upon further investigation into the company I found a significant amount of negative reviews. However all of the reviews had been written by buyers (mostly complaints about shipping cost) and not consigners or sellers. I would love to know if anyone has used their Consignment option and if so, would you recommend it? Just for a reference point, I sell luxury and heritage brand clothing and accessories.